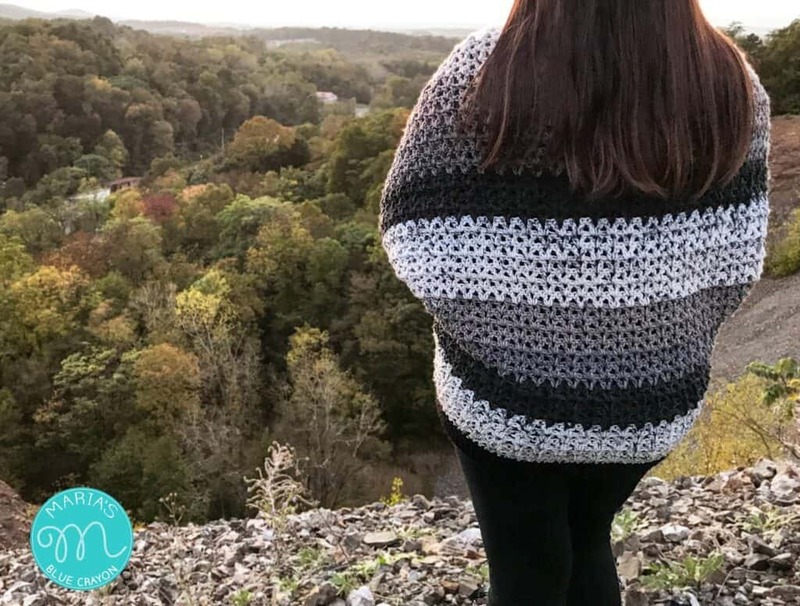 I finished my first ever piece of crochet clothing, and I’m happy to finally be able to share it with you! Like most crocheters, clothing intimidates me.. but I wanted to take the plunge and try something new. 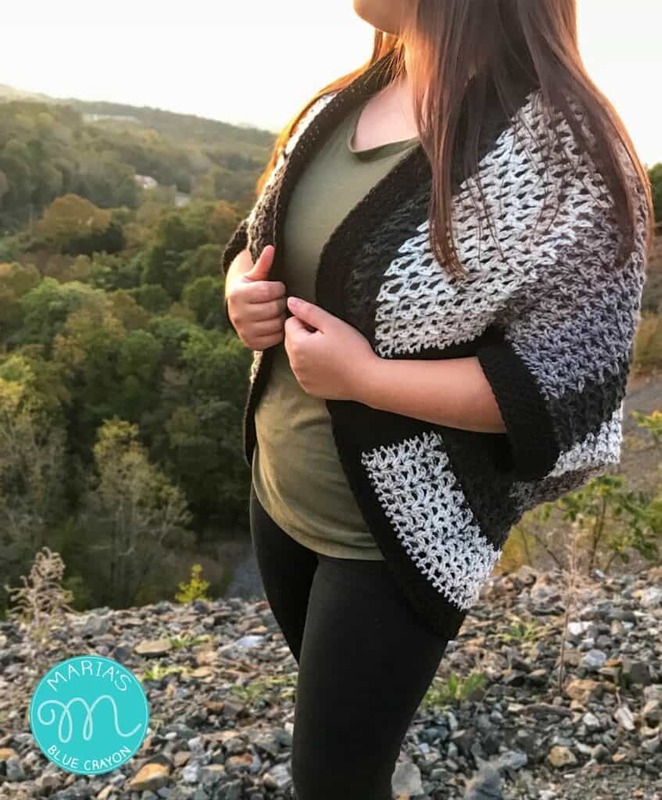 At first, I tried my hand at a cardigan of my own design and it was just not working out. I opted for something a lot more simple. Like.. crochet a rectangle and sew some sides together simple. That’s how easy this shrug is! To me, this is perfect lounge wear to cozy up in. 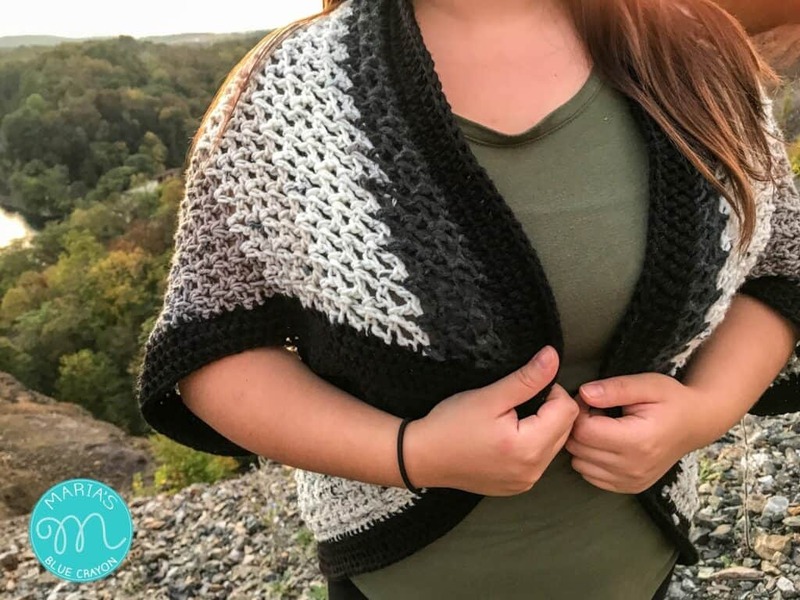 Pair this shrug with a nice cup of something hot, slippers and some yarn or a book – you’ll have the perfect little slice of heaven on Earth. I found the stitch in my one and only stitch dictionary (link below), and it worked up so quickly. The name of the stitch is called “Rope Stitch”. I used this stitch for my infinity scarf that I worked up with the Sprinkles Caron cake, which is a super bulky weight. 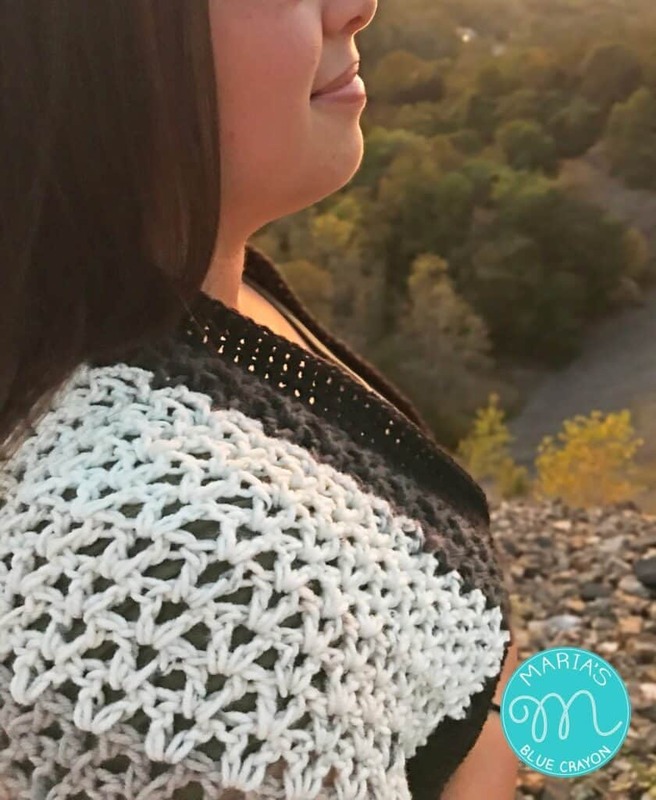 You can see how that worked up and get the free pattern here. I wanted to use just one Caron Big Cake for this so I did some edging to make it the size I needed. If you make a larger size (which I have instructions on how to make this bigger below) and use the Caron Big Cakes, you will need another cake in order to complete the shrug. The two things that will be different for the sizes are the beginning chain and the number of rows. Below, I have the sizes with the corresponding number of beginning chains and number of rows to complete. Everything else in the pattern will be the same. With black yarn, attach anywhere to the rectangle. 1. Lay your rectangle flat. It should be longer horizontally. 2. Fold the rectangle down in half. 5. Weave in all ends. Love this pattern! It reminds me of Oreo Cookies. Fantastic work! It’s beautiful! I’ve got to save it till my elbow fracture heals, but it’s on my to do list!